Everybody who has invested money on the business has done that only to make profits out of those. Money is an important aspect to run or manage every business and by being in the travel sector, the travel agencies need to make sure that their business gets timely payment for the services they provide to the guests. If the travel agency deals with many guests at a time, then it can at times be difficult for their business to keep a tab on payments from all the guests, whom they might have served at different periods. To make things convenient for everyone involved (both the agency and the guests), one needs to have a secure and user-friendly payment system, which could not only update one about due payments by giving an alert repeatedly to follow-up with guests, however it should also send reminder mails to the guests that their payment is due for a specific service. This way, travel agencies would get to know who all require paying and who all paid already after availing the services from them. At times, due to lack of technology/system or security concerns, the guests/clients might be apprehensive about sending payment after the services received. To overcome challenges of this sort, the travel agency needs to have an inherent payment gateway, which could promise secure payment dealings, be it through credit, debit cards or other banking facilities. If the agencies have been having difficulty managing payment of services rendered, then they can think about adopting the WebCRS Payit system, which proved ‘a great success’ for many companies in the travel sector, already. The payment gateway incorporated with the system would help one keep a tab on payments of guests from a single dashboard. The agencies can check the record/database anytime to see the collected and due payments of different guests. The Payit payment collection software would even remind the agencies occasionally regarding any payment request mails that they need to send to guests, who require paying. With the WebCRS Payit system, the agency can send/email invoices (specifying service details) along with the link, which would enable the guests pay straightway by clicking the very payment link in a secure manner. The link would remain active only for a specific period, as if the guest fails to click it on time, the system would facilitate the agency with the option to resend the invoice with another payment link. This way, travel agencies can even know the number of invoices they sent across to get payment and about the reminder mails that they need to send to guests, further. The payment invoices that agencies mail across will have the company logo, address and the terms of payment to make the guests comprehend the policy, better. At any time, the agency or the guests can take a printout of the invoice, if needed. Whenever the guests pay, they get instant confirmation and the money would ‘get credited’ automatically to the business account of travel agency, integrated with the system. Anytime when the agency got payment from the guests, they would also receive automated SMS/email notifications from the WebCRS Payit system incorporated with their system. Hence, adopt the CRS payment collection software and never lose to keep track of the payments. Sales and marketing are integral to every business entity. The hotels that require B-to-B dealings with Corporate and Agents have to follow up on queries on a day-to-day basis so that they do not drop any leads. Besides, they even need to supervise and manage the performance of sales representatives, executives and managers, on a routine manner. Without a proper system in place to record the sales and marketing communications and interactions in between the employees and the business clients, the hotels may not be able to know whether the team is putting efforts in the right direction or not. Even the sales and marketing team members want to have a better idea about other departments and faucets, so that they could manage queries better. In order to get the best out of the sales team and for streamlining the process, the hotels across the globe are switching to Sales Monitoring System. The ZIEL Sales Monitoring System from CRS Technologies is one such popular amongst companies in the hospitality sector. The technology not just helps the hotels to monitor sales and marketing efforts globally, improve B-to-B (corporate and agent) sales, enhance Revenue per Available Room (RevPAR), however, they even get to bring down the operational cost of sales and reservations. By following the Sales Monitoring System, the hotels would be able to identify all their guests and bookers at different periods and know which representative, executive or sales manager handled that particular inquiry or call. Monitoring the performances of sales and marketing professionals within the organization for appraisals become easier with the system. The ZIEL Sales Monitoring System never misses an inquiry and helps in assigning and routing the tasks (on priority basis) to different sales and marketing departments (professionals) of the hotel, ensuring that they get to address queries on a real-time basis. By leveraging the Sales Monitoring System, the hotels can make certain that they do not drop any leads and be able to convert prospects to customers, almost all the time. Since the central reservation system integrates with the sales monitoring tool, the representatives using the technology would get to have real-time access (mobile access etc) to all the contact information, hotel inventories, reservation list etc, helping the employees make informed decisions, all the time. As the system helps in improving the response rate to queries, the representatives, executives and managers working with the technology, even tend to be more efficient and productive and contribute better to the clients of the hotel. The hotels that want to have full control of their sales and marketing team should not think any further and just go ahead adopting any reliable Sales Monitoring System, available in the market. Every time when a guest approaches the travel agents regarding a hotel inquiries, in order to manage quests, generate better quotes and boost the booking process, the agencies require to be well acquainted with everything about the hotels they are associated with, i.e. room availability during a specific period, special rates and offers/deals (if any). To check and enquire with hotels, the rate and availability (every time) is not a feasible option, as the guests most often in a hurry would not care to wait and would move along with other travel agencies. To overcome this challenge, the travel agents require a system from where they could access all the most recent information of the hotels in their panel. Agent UniLogin from CRS Technologies is one such technology, which helps the travel agents keep tab and have secure access to room rates and availability of all the hotels in their network from a single platform. The travel agencies with the WebCRS Agent UniLogin can send messages to hoteliers requesting the latter to add agents in the database of hotel. The hotels can accept the requests immediately, using the UniLogin technology. This way the travel agencies would have the right to access all the special rates and offers of hotels, during various periods. In case the hotel denies the request of travel agency, the latter would not get to know offers from the hotel and not possibly be in a position to generate best quotes for the guests. The WebCRS Agent UniLogin serves a different purpose, as the travel companies leveraging the technology would be able to create multi-users and let the agency staff members have secure access to all the hotels in the network, from a common pool. The agents can even add the hotels as Direct Channel, block rooms during a specific period (for guests), confirm rooms live and submit cancellation requests as well. With WebCRS Agent UniLogin, the travel agencies can view all hotels in the network, check previous schedules, send recommendation and update payments made to hotels. The technology saves a lot of time, avoids overbooking and confusions of any sort with the guests. The agencies can enhance hotel room bookings by always ensuring that the prices quoted and the room availabilities shown to the guests are the most recent, leading further to customer satisfaction and better business outcomes. Social media is an effective marketing tool, which hotels and travel companies use amply for online branding and promotions. Amongst the most popular, Facebook is not only the favorite of people that like to befriend others online; however, the social networking platform is equally in great demand with businesses of all kinds. Hotels can drive more customers to their properties through the Facebook booking engine and make their fans and followers book instantly right from there. Hoteliers can use the social platform for facilitating guest reservations, through the booking engine integrated with the hotel system. On the Facebook page, hotels can display their properties and description (along with contact addresses), upload images, so that people interested in booking room get to have a fair idea about the hotel, room amenities and other services. People following the page of Hotels there would be able to book at once through the inherent ‘Book Now’ button. When the users make initiative, the page would redirect them to the site of the hotel for further proceedings, where people can pay directly through the secure Payment Gateway, complete the transaction process and receive confirmation message as well. As the hotel system ‘is incorporated’ to the social networking site, the hoteliers no longer have to worry updating Facebook every time when they have to promote or extend special offers to guests. Moreover, when a user logs in to the Facebook page of the hotel, the reservation team of hotel would receive complete details of the guest, making them save time in requesting details and so. The benefit of trying to sell hotels through social media is even that, travelers that have booked earlier with the hotel can post instant reviews on the page, for others to see. Through ‘Likes’ people can show their support to the hotel and even share positive reviews with friends and family in the online network. 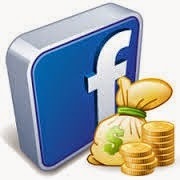 This way, by making the business presence on Facebook, hotels would get to uplift their online reputation. Facebook, being a popular site gets higher ranking on major search engines. By leveraging the platform, hotels can generate higher visibility for all their properties and sell their rooms like hotcakes all the time, both peak and off seasons. The WebCRS FB technology is one of its kinds that hotels can adopt to enable guest bookings through their Facebook page and maximize their business profits. 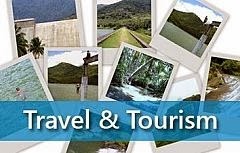 Travel and tourism is one of the fastest growing and the most competitive sectors of today, with thousands of travel companies, travel agents and tour operators battling for guests in the inbound and outbound tourism segments. Lack of access to technology is one thing that many travel companies still store and manage hotels and contract in spreadsheets (or on paper), manually and this is one of the reasons why many are incapable of overcoming different challenges of the sector. Every time when a travel company receives a guest enquiry regarding accommodation or tour package, they require contacting the hotels, vehicle rental agencies and other service providers directly to check availability and best available rates. This approach is very time consuming and on a periodic basic can adversely affect the business outcome of the travel company. At times, the guests may seek specific packages and want to compare the package cost with another service provider. In case the agency manages contracts on spreadsheet, they may find it difficult searching, mapping itinerary and generating quotes based on the requirement of the guests. The guest might not wait for long for costing details and probably switch to other agencies. Besides, whenever a guest escalates a query over the email/phone, the agencies require addressing those on time. Without a system in place, they might fail to prioritize the task or follow-up with the guests. Even after delivering the service to the guests, the agencies have to check collecting payment on time and require follow-up with people for due payments. Humanly it is impossible to take notes about hundreds of guests, regarding payment. Guests, on the other hand may not consider sending cash payment a secure mode. They look in general for credit, debit card payment or net banking facilities. To be able to tackle competitors in the market and to overcome challenges of the sector, travel agencies require switching to a paperless environment. By adopting the online travel agency software like WebCRS Travel, they would get to bring down operational cost, costing error and simplify the booking and reservation process, to maximize revenues through guest turnouts. The WebCRS Travel with Payment Gateway ensures the guests get to pay securely (choose different currencies) and receive confirmation instantly. Furthermore, telephone and mail integration to the system guarantee that travel companies never miss important calls and emails from the prospective customers or guests. Whether contracting, supplier management, enquiry handling, costing, service delivery or other aspects of the business, the WebCRS Travel makes it easier managing everything with a click of the button. Hotels and resorts get associated with lot of channel partners/agents (e.g. Booking.com, Agoda.com etc.) to increase sales of their property. Hotels want to include special rates/offers on both website and the channel partner sites. Failing to do so will lead to confusions in the booking and reservation processes, as well as rate parity will not be maintained. If the hotel want to deal with many Online Travel Agencies, it is humanly impossible to visit those sites and update rate/availability details one by one. This sort of manual work during a peak time not only will consume time but also affect the business outcomes. In order to overcome this, Hotels and Resorts need to have an advanced channelmanagement system, with the inherent facility of updating all agent/partner data from a common pool. During a specific period, if hotel want to edit/update a certain property details like changing rate plan and adjust visibility/availability for all associated agents and channel partners, then WebCRS TPM will help to manage it with ease. With WebCRSTPM, channel management system hotel can edit rate plans and set availability/visibility for a specific period, with a click of the button. In case they want to close the rate plan for a specific period can do it easily by selecting the available choices in the system menu. The channelmanagement system will let hotels alter both - weekday and weekend, daily rates and they can even edit occupancy rates with respect to Single, Double, Triple, Adult, Children/Infant categories etc. In some cases if hotel want, they can also give special discounts or add extra charges to the available properties for a selected period, by deducting or adding specific values to the rate plan. The corrected rate plan and room visibility/availability settings in the system will automatically take effect in the websites of the channel partners. By implementing the channel management system, hotels no longer need to worry managing rates and visibility of properties. WebCRSTPM now comes with free booking engine and todays free trial. Online mobile booking has seen a rise than before, in the Hospitality and Travel sector and the companies operating in respective segments feel that the current trend will continue to increase with mobile phones surpassing the popularity of desktops and laptops. As per a study report from the Internet and Mobile Association of India (together with IMRB International), in October 2014, there were 159 million mobile Internet users and the study authors expected the figure to attain 173 million by December 2014. This shows the ‘mobile booking online trend’ is incessantly rising, as the numbers are even giving the right signals to companies to start leveraging on the mobile traffic, if they have not started doing it by now. The Co-Founder and CEO of the Indian travel company MakeMyTrip, Rajesh Magow says, mobile bookings will soon exceed other devices. Most of the hotels and travel companies are changing their website and online booking platform to match with the trend of mobile phones (to have mobile booking engines), so that they do not fail to keep up amid other players that have mobile compatible websites and booking engines. Most people use Smartphone to make instant hotel bookings and planning itineraries. Identifying very need of the hour, there are many companies in the online space that provide mobile apps for ‘on the spot’ hotel bookings and reservations. One can download these mobile apps from Google Play and various online shopping networks, available in the web space. Regarding onlinebookings/reservations - leading hotels generally have their own system to manage things; however, small hotels due to limited budget often find themselves in a sticky situation. They often look for affordable technology - a system that is easy to install, use and could help them speed up bookings and reservations for guests. 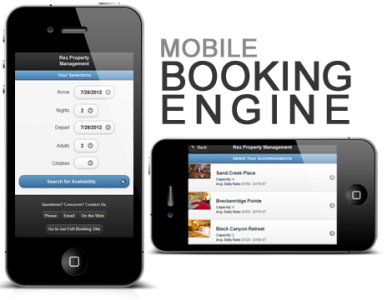 WebCRS helps smaller hotels and resorts to have mobile booking engines to cater to the very need of the guests. CRS Technologies India Pvt Ltd has seen a gradual rise in its customer base, with the popularity of its booking engines and hotel reservation systems that not only perform well on desktops but also are compatible with mobile phones and tablets. Smartphone and tablets are the future, as the bookings through these mediums have started revolutionizing the e-commerce scenario. Hence, do not lag behind with your market competitors and just go ahead choosing an advanced CRS system for your business, for improved outcomes. The Hospitality and Travel sector anticipates an upsurge in 2015, thanks to the New Government led by Mr. Narendra Modi in India. Ever since the new Prime Minister joined his duty – he started taking important decisions for the nation and one was growth and development of tourism in India. Recently, Mr. Arun Jaitley,the Minister of Finance even talked high about the travel and tourism sector in creating new jobs for people in the society. He also disclosed the plans of his ministry to introduce the Electronic Travel Authorization facility (e-Visa) in a phased manner at nine airports in India. With much needed initiatives from the current Government to boost tourism in India, the companies in the Hospitality and Travel sector are quite hopeful about the New Year ahead. Industrial sources report that with opportunities lying ahead, many Domestic and International players look forward to opening new properties and expand their business to new markets and territories in India. Starwood Hotels and Resorts Worldwide has declared its plans of having about sixty-five operational properties in India, by the year ending on 2015. Even Carlson Rezidor Hotel Group looks forward to about fifty operational Park Inn by Radisson properties in India, in another nine years. Starwood even has plans to relocate its global headquarters to India in the first quarter of 2015, from the United States. Even many other leading market (Domestic and International) players announced their plans to expand and open new properties in India. Market analysts predict the year 2015 will create more new employment opportunities for people in the travel and tourism sector. With so many foremost brands planning to capture the market share, it will be quite difficult for small and medium companies to survive without adopting advanced technology for central reservations and online bookings. If your group of hotels and resorts wants to stand tall in the marketplace, then your business needs to have cutting edge over others.This is possible only when you have the best of talents and the advanced system to manage guest bookings and reservations online. Hence, gear up to transform your business for the better. If you have properties located in different cities/parts of India and been managing those manually with spreadsheets, then this is the right time to change.Get more direct guest by offering customized packages end instant confirmations.Allow agents to sell your properties with care by using advanced central reservation software. WebCRS has been helping companies in the Hospitality and Travel sector with innovative and cost-effective software and solutions. Seek them to have more control of your business and for improved outcomes. For consultation and queries, contact at the following - info@webcrs.com. Merger of Make My trip and Goibibo. Good News or Bad News for Hospitality and Travel Industry? Copyright ©2016 All Rights Reserved By WebCRS.com. Powered by Blogger.